Looking for a deal on the purchase or lease of a new SUV this month? 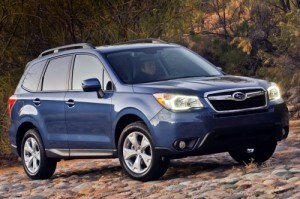 Some automakers are offering cash back or attractive lease deals with no money down. Note that most deals expire July 1, 2013, but those from Volkswagen expire June 30, while Acura, Ford and Honda SUV deals expire July 8. 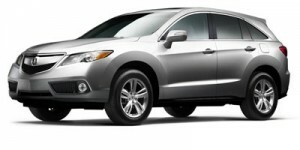 2013 Acura RDX – Lease for 36 months at $379 per month with $1,999 due at signing, or $420/month for 36 months with $0 due at signing/$0 first month’s payment. 2013 Buick Enclave – Lease the Enclave FWD with convenience group for 24 months at $349 per month with $3,309 due at signing. Purchase: zero-percent financing for 60 months or $1,500 consumer cash. 2013 Buick Encore – Lease the Encore front-wheel drive models with 1SB for 24 months at $249 per month with $2,209 due at signing. 2013 Chevrolet Equinox – Lease the Equinox for 36 months at $199 per month and pay $3,199 at signing. Purchase: $1,000 consumer cash of zero-percent financing for 48 months. 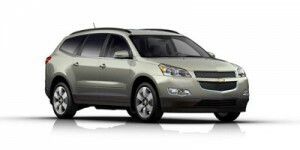 2013 Chevrolet Traverse – Buyers can get $1,500 consumer cash or 1.9 percent financing for 60 months. Or, lease Traverse LS trim with 2WD for 36 months at $259 per month with $2,509 due at signing. 2013 Chevrolet Tahoe, Tahoe Hybrid – Buyers can get $2,000 consumer cash or 1.9 percent financing for 60 months. 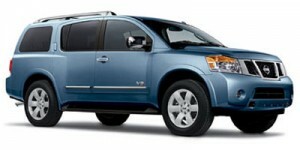 Or, lease Tahoe LS trim with 2WD for 39 months at $439 per month with $3,029 due at signing. 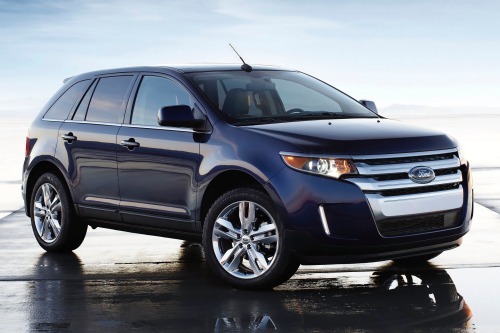 2013 Ford Edge –Lease Edge SEL AWD with SYNC, MyFord Touch and leather in the Northeast for 24 months at $219 per month with $4,593 due at signing; SE FWD with EcoBoost engine (Southwest) for $229 per month for 24 months with $3,088 due at signing. 2013 Ford Escape – Several 24-month lease deals range from $179 per month with $4,273 due at signing on Escape SE AWD with MyFord Touch and SYNC (Northeast), to $239 per month with $2,788 due at signing (Escape SE 4WD (West). 2013 Ford Explorer – Purchase: $2,000 customer cash. Three 24-month lease deals: $249/month with $4,593 due at signing on Explorer XLT 4X4 with leather (Northeast); $259/month with $3,699 due at signing (XLT FWD in the Southeast), and $259/month with $3,678 due at signing on XLT 4X2 with 2.o-liter EcoBoost engine (Southwest). 2013 Ford Flex – Two 24-month lease deals available: $229/month with $4,473 due at signing (Flex SEL FWD in the Northeast), and $239/month with $4,008 due at signing (Edge SEL FWD with Titanium package in the Southwest). 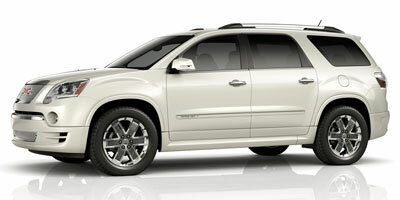 2013 GMC Acadia – Zero-percent financing for 60 months r $1,500 consumer cash on a purchase. 2013 GMC Terrain – Purchase: $750 consumer cash or zero-percent financing for 48 months. 2013 GMC Yukon – Buyers can get $1,500 consumer cash or 1.9 percent financing for 60 months on all new 2013 GMC Yukon models. 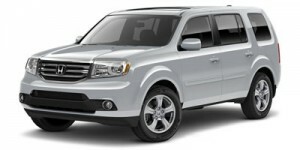 2013 Honda Pilot – Four 36-month lease deals: $269/month with $2,499 due at signing (Pilot LX 2WD); $279/month with $2,599 due at signing (Pilot LX 4WD); $329/month with $2,499 due at signing (Pilot LX 2WD with leather), and $330 with $0 due at signing (Pilot LX 2WD). 2013 Kia Sportage – Purchase: $500 bonus cash plus 0.9 percent financing for 36 months or 1.9 percent for 60 months. On a 36-month lease of the Sportage LX, the deal is $239/month with $2,999 due at signing. 2013 Hyundai Santa Fe – Two 36-month lease deals with $3,199 due at signing: $269/month on Santa Fe Sport with popular equipment package, and $299 on Santa Fe with popular equipment package. 2013 Hyundai Tucson – Lease the Tucson GLS for 36 months at $309/month with $0 due at signing. 2013 Nissan Armada – Lease: 39 months at $577/month with $3,057 due at signing on SV trim with four-wheel drive (available all regions). Purchase: Zero-percent financing for 36 months, 0.9 percent/60 months, or $2,500 cash back (available all regions). 2013 Nissan Pathfinder – Purchase: $1,000 cash back, or $500 NMAC cash plus zero-percent financing/36 months; 0.9 percent/60 months plus $500 NMAC cash, 1.9 percent/72 months plus $500 NMAC cash (available in Northeast, Southeast and Southwest and NMAC cash only available when financed through NMAC). Lease: 36-month leases of S trim with four-wheel drive range from $259/month with $2,399 due at signing (Northwest and West) to $359/month with $0 due at signing/$0 first month’s payment (Southeast and Southwest). 2013 Nissan Rogue – Purchase: $500 cash back or zero-percent financing for 36 months, 0.9 percent/36 months plus $500 NMAC cash (available all regions, NMAC cash available only with NMAC financing). Lease the Rogue S all-wheel drive for 39 months from $249 per month with $2,999 due at signing (Northwest and West) to $329/month with $0 due at signing (Southeast and Southwest). 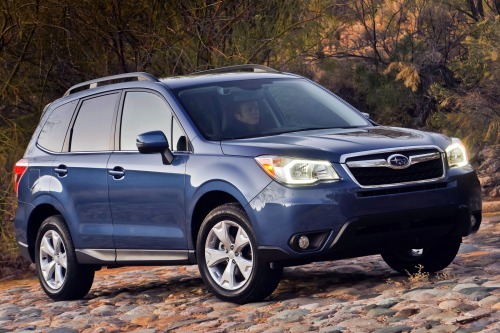 2014 Subaru Forester – Lease for 36 months at $239/month with $1,939 due at signing. On a purchase, get 1.9 percent financing. 2013 Volkswagen Tiguan – Lease: Tiguan S FWD model with automatic transmission for 39 months at $299/month with $0 due at signing. Purchase: 0.9 percent financing for 60 months.